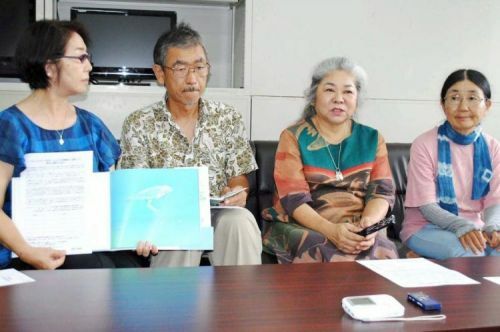 Besides Kato and Kojya, the organizers of the petition include: marine mammal scientist and Professor Ellen Hines from San Francisco State University, biology Professor Mitsuru Moriguchi from Okinawa University, picture book authors Seizo Tashima and Shoumei You, and underwater photographer Kensuke Yokoi. Going forward, the organizers hope to collect a wide variety of petitions from in and outside of the country using the internet. They hope to create English and Korean versions of their petition. If you would like to take part in the petition, please call Masako Suzuki at 090-8032-2564.